Melt 2 Tbsp butter in a skillet over medium high heat. Add carrots and stir for a minute to distribute butter. Turn heat to medium and add bourbon. Cook for a minute to let bourbon begin to evaporate then stir in brown sugar. Cover the skillet and lower heat to barely a simmer. 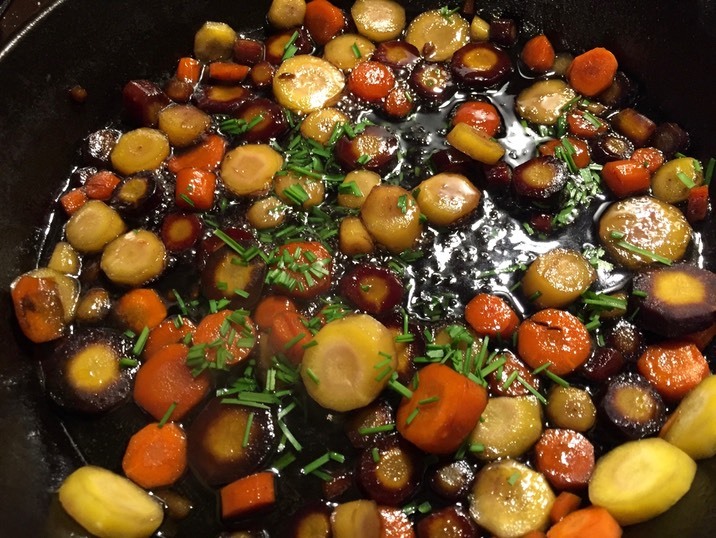 Allow carrots to cook for 5 to 7 minutes stirring a couple of times. Uncover, add salt and pepper and remaining butter and allow glaze to thicken 2 to 3 minutes. Top with chives if desired and serve. Enjoy!